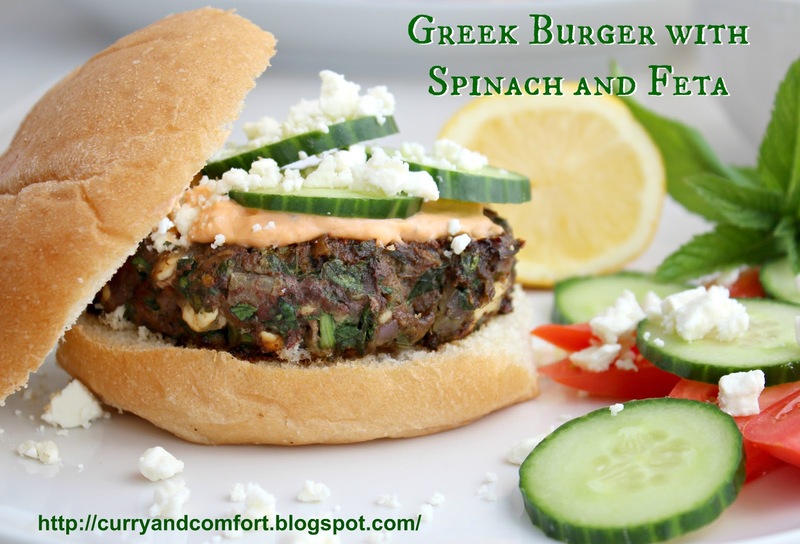 Greek style burgers filled with spinach and feta is our second fun burger to try this week. I bought some feta cheese recently and then I realized that I better find a recipe to use it up before it became a moldy stinky cheese. 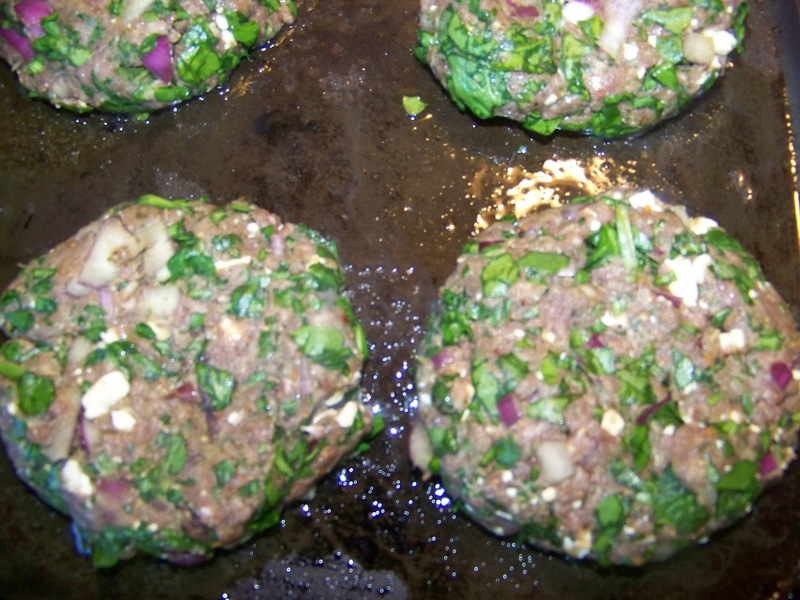 I decided to make a Greek style burger and this is what I came up with... kind of like a burger meets a spanakopita. 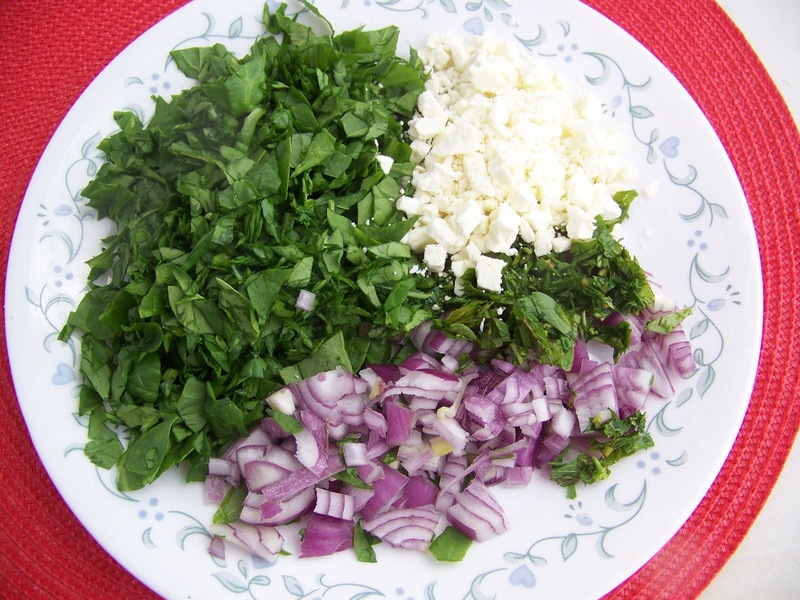 Finely chop spinach,onions, mint, oregano and parsley. 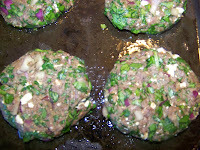 Add it to the ground meat with the, grated garlic, feta cheese, salt and black pepper. Make four equally sized burgers. Try to make the center thinner so the burger cooks evenly. Cook for several minutes on each side with some a little oil in a skillet or cast iron pan. Make sauce if your desire. 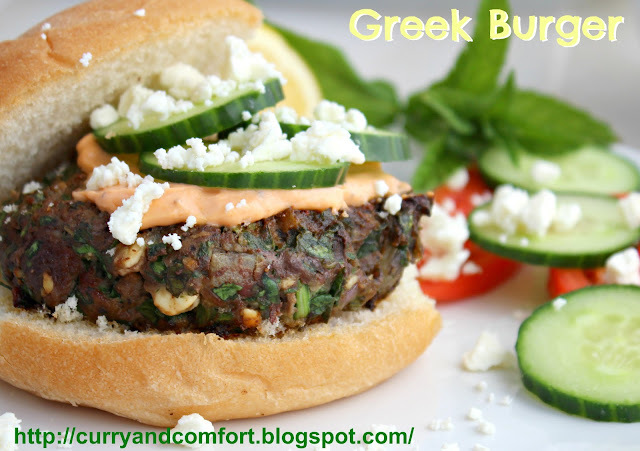 Serve in burger bun with more feta cheese and cucumbers. Enjoy. 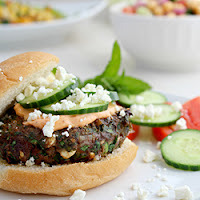 Note: My husband and kids ate it with a bun, I ate this burger with a salad for a low carb meal option. Woo-hoo another tasty burger to try! Thank you for the recipe and for always including step by step photos. Oh yeah! Will be making this for sure. 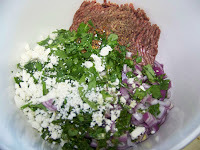 I might have to throw a few toasted pine nuts in that mix! 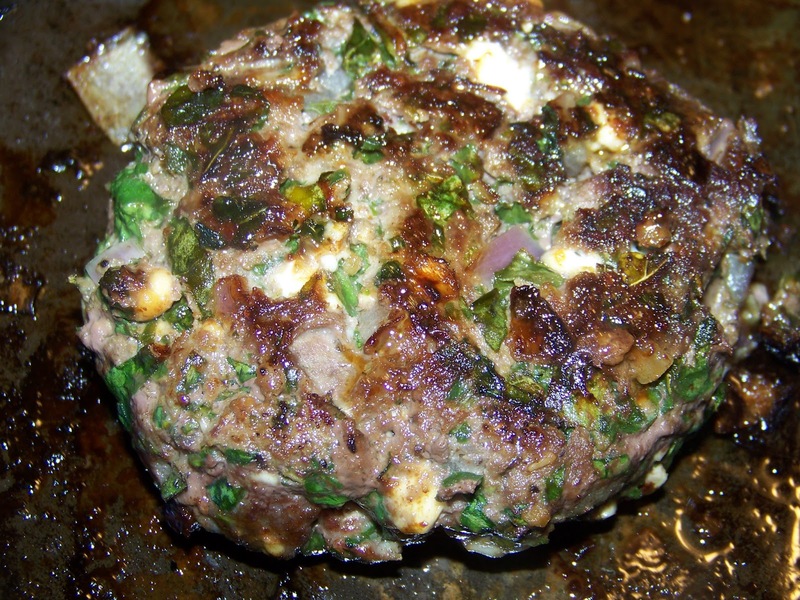 Lamb, mint and spinach in a burger? That sounds incredible!!! Loving your burgers!